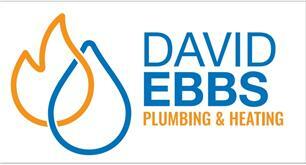 David Ebbs Plumbing and Heating - Central Heating Engineer based in Southampton, Hampshire. I am a friendly local Gas safe registered Plumber, with 16 years’ experience of working to improve people’s homes across Hampshire and the south coast. I work in a tidy efficient way to exceed customer’s ambitions whist remaining cost efficient. I am fully qualified and insured. I cover all aspects of plumbing and gas work from a dripping tap to a full heating system.